How do you travel around the world in just one evening, without even leaving London? It sounds like an unsolvable riddle, but thanks to the guys behind The Literary Hour, it’s possible to do just that! 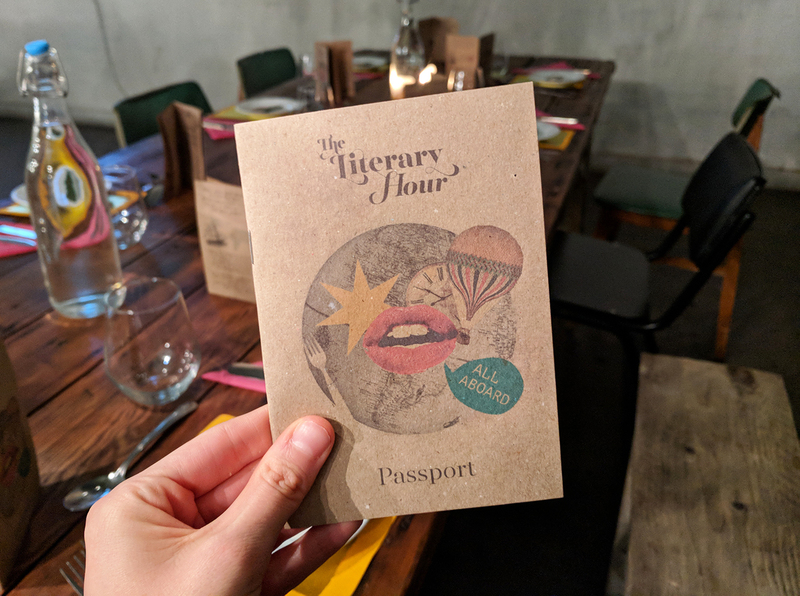 The Literary Hour hold several temporary pop-up events in London every year, hosting a culinary experience that’s based all around a classic novel. In the past they’ve done everything from nostalgic childhood favourites such as Wind In The Willows, to The Lion, the Witch and the Wardrobe. One year they even held a Hannibal-themed meal for Halloween! 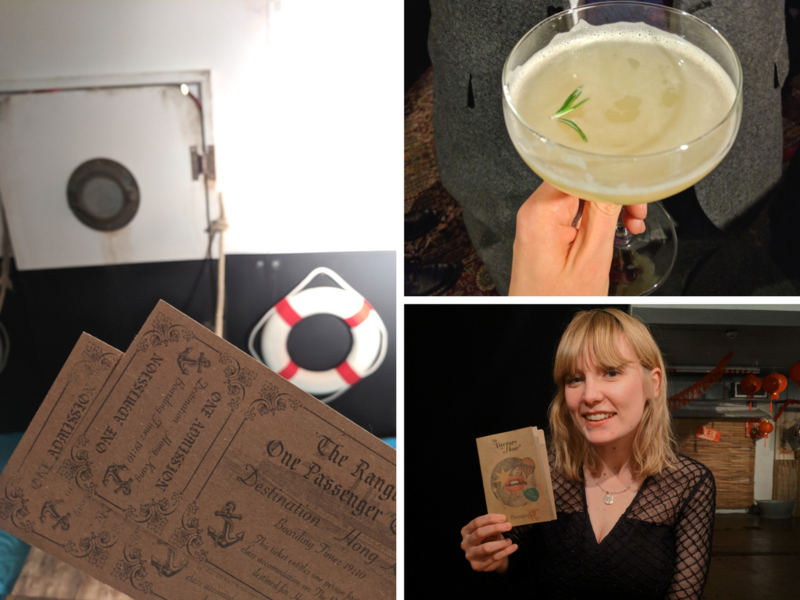 For their February/March 2018 pop up though, the team decided to host a 5-course meal themed around Jules Verne’s Around The World in 80 Days. And of course, me being me, I shunned the fancy 5* restaurants in favour of booking this up for my birthday meal with Ian. And oh my word I am pretty certain this is one of the best things I’ve ever done in London. No joke! Sadly, the Around the world in 80 Days pop up was only open for one month, and the last dinner took place on 4th March. However, if you like the sound of this, I’d definitely encourage you to keep your eyes peeled for more info on their next event later this year. I can’t wait to see which novel they pick next… To give you an idea of just what sort of thing to expect, here’s how the Around the World in 80 Days evening unfolded for us. Before you go on any adventure (culinary or otherwise), you’re going to need to secure your spot. Booking tickets to The Literary Hour’s event is a bit of an experience in itself, not least because the location is a complete secret until you’ve booked. The description is also deliberately vague, promising a “five-course dining experience with culinary surprises smuggled in along the way”. Yep, ridiculously vague, but I decided to just go with it. For our event there were two ticket options: the basic 5 courses, or the 5 courses with paired drinks. I plumped for just the food option for two reasons: a) I’m an absolute light weight who’d probably have to be carried out to a waiting ambulance if I had 5 alcoholic drinks, and b) I liked the flexibility of choosing my own alcoholic drinks when I got there! We had to be at our secret zone 2 location by 7:15pm, which was made a little perilous by all the snow drawing London’s transport system to a standstill. But…we made it! And after arriving at the “Reform Club” (the private members club that features in Around The World in 80 Days), we were greeted by Phileas Fogg himself – a.k.a an actor who fully embraced the eccentric character! Welcoming us into the club’s foyer, Fogg handed us our tickets to board our boat to Hong Kong. We then dumped our belongings to one side, and enjoyed a little welcome gin cocktail, with a packet of vegetable (or meaty) crisps to get us ready. 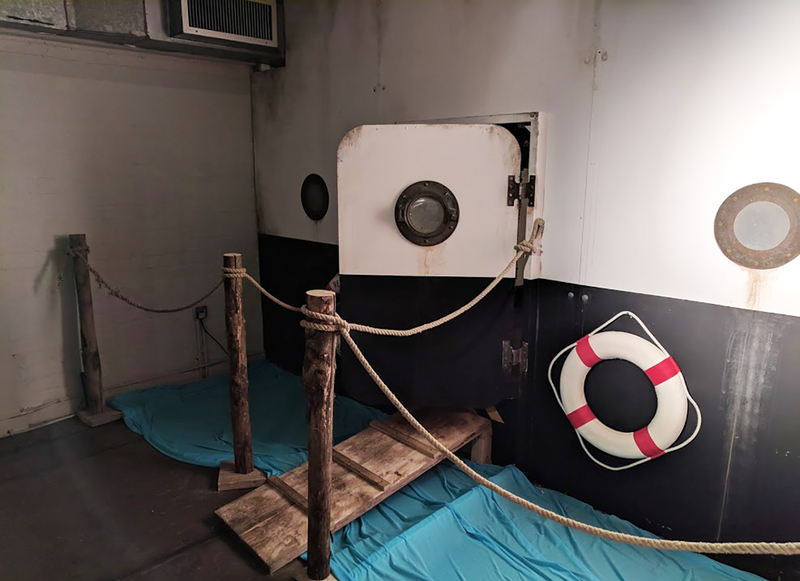 We were taken through onto the “ship” in stages. I estimated that there were around 50 people there in total despite all that snow, so I guess this was done in order to minimise queues and so that we could all hear and interact with Phileas Fogg before we started our culinary journey. Once through the ship’s doors, we were instantly in Hong Kong! Granted it looked a little different from the Hong Kong I visited, with all its skyscrapers and bustling hubbub, but hey… After receiving our first course, we were told to look up our seats on the seating plan, and then settle in for the evening. 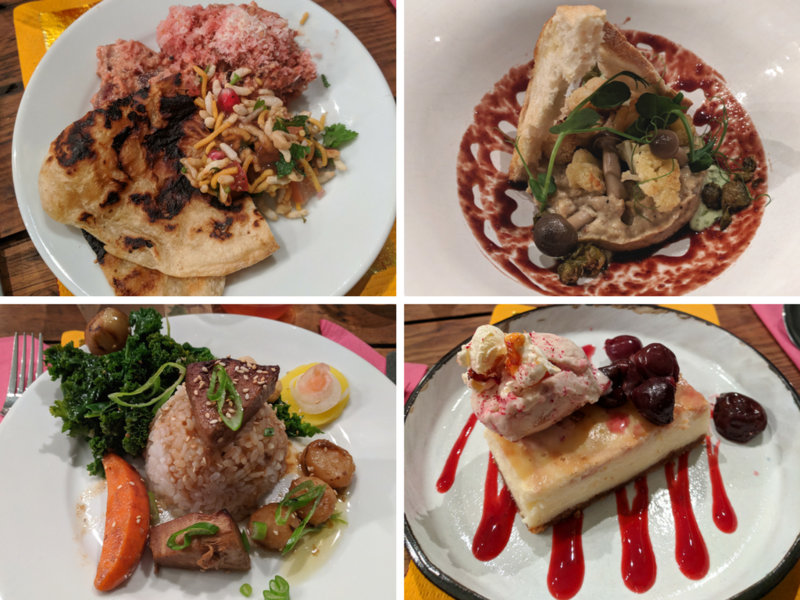 What I found particularly appealing about this food experience (other than being based around one of my favourite books), was the fact that each course was completely different. I’m terrible at the best of times choosing one cuisine to commit to, so it was a refreshing change to get a bit of everything in one meal! 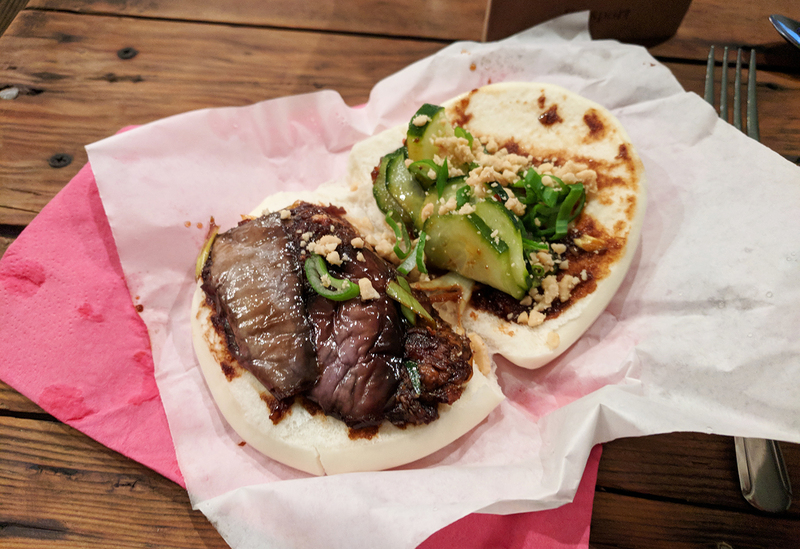 The steamed bao in all its glory! I will admit, I did struggle to complete every course. It might have been due to the fact there was just so much food involved, or it could have been because I’d scoffed an entire afternoon tea just hours before… Either way, you most definitely get your money’s worth with the amount of deliciousness involved. The experience was about a lot more than just the flavours though. 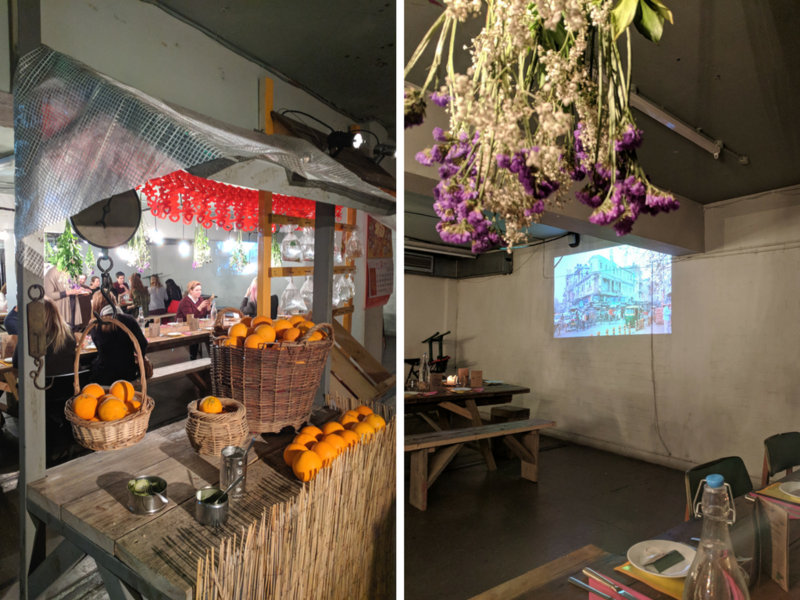 The evening tried to be as immersive as possible, with extracts from Around The World in 80 Days read out before each course, plus videos projected onto the walls to illustrate which country we’d travelled to with each dish. Lasting almost 3 hours from start to finish, the evening did tend to lull in places, although there were riddles handed out to groups to encourage us to get chatting with everyone around us. The only real problem I had was the seating arrangement, where pairs were seated opposite each other on a long table. I’m particularly hard of hearing at the best of times, so with the noise levels growing higher and higher as the night went on, I practically gave up on trying to hold a conversation! I guess it wouldn’t be quite so bad if you were in a group of 4, so that you had someone seated next to you that you could have a chat with. At the top of this post I boldly stated that this is one of the best things I’ve ever done in London. Despite the sound issues, I definitely stick by this fact. 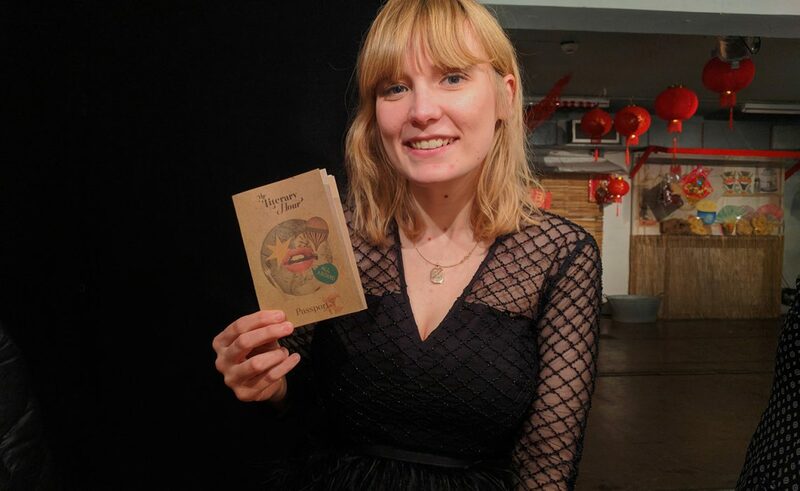 It was something so unusual and so immersive, that I could imagine this doing unbelievably well if The Literary Hour decided to make this a permanent thing! For now though, I can’t wait to see which classic novel is going to get The Literary Hour treatment next. My money’s on The Hitchhiker’s Guide to the Galaxy. Oooh, or Frankenstein?! Does this kind of food experience sound up your street? Which book should The Literary Hour attempt next?! This just sounds like my dream meal! Good food, and a bit of mystery haha. 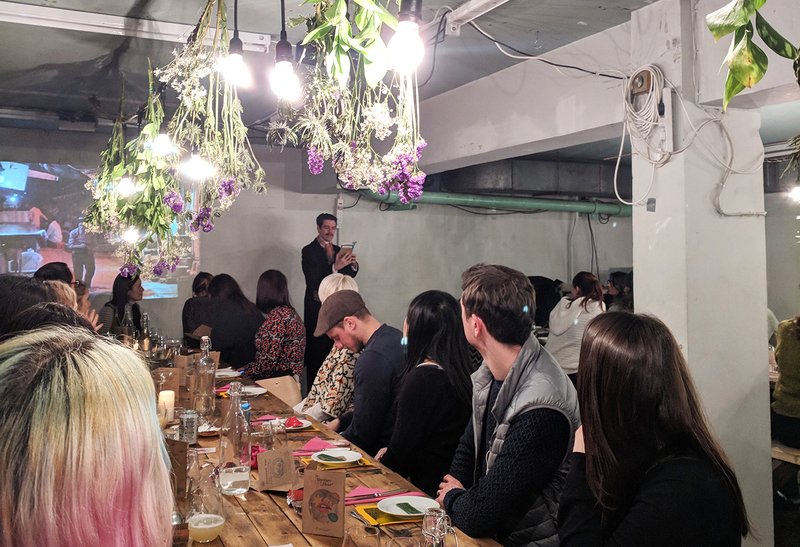 How much fun does this sound – it’s like secret cinema with a food focus. I’m totally going to have to keep my eyes open for these!